In his research and teaching at Utrecht university, Jan van Tartwijk focus on a range of topics such as teacher-student communication processes in the classroom, learning and assessment at the workplace (in particular in teaching and medicine), assessment and motivation, assessment and creativity, teacher education, teacher professional development, and the development of teacher expertise. Furthermore, Jan is the chair of Utrecht University’s Graduate School of Teaching, the scientific manager of the educational consultancy and training group (O&T) of the faculty of Social and Behavioural Sciences, and a member of the management team of the Academic Teacher Education Program for Primary Education (ALPO) which is a joint program of the University of Applied Sciences Utrecht (HU) and Utrecht University (UU). Debbie Jaarsma (1973) works as a full professor in medical education at the University Medical Center Groningen, University of Groningen, the Netherlands. Here she is the director of the Center for Education Development and Research in Health Professions (responsible for quality assurance and control, faculty development and educational innovation of the medicine and dentistry curriculum). She also chairs the research group LEARN (Lifelong learning Education Assessment Research Network). She is involved in innovation of teaching and learning strategies, teacher training and training of academic faculty. Her research focuses on ‘adult’ learning, i.e. undergraduate and postgraduate students, including lifelong learning in health professionals. She is recognized as an expert in course and curriculum development. Innovation of curricula, competency development, instruction methods and learning environment, self-regulated learning in academic work, work-engagement, (workplace-based) assessment, quality improvement and faculty development are among her research and teacher’s interests. She currently supervises around 25 PhD students on these topics. Originally she was trained as a veterinarian at Utrecht University, the Netherlands. 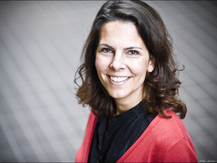 As a member of the Netherlands Association for Medical Education (NVMO), she chairs its Scientific Committee and was a founding member of the Ethical Review Board for research on medical education. 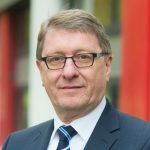 Wim Kremer is Head of School and Vice Dean of Education (Vice Dean of Academic Affaires) and member of the board of the Faculty of Veterinary Medicine of the University of Utrecht. 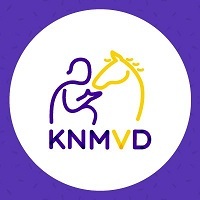 He is professor of ‘Farm Animal Health, in particular Education’ at the department of Farm Animal Health of the Faculty of Veterinary Medicine in Utrecht. Personal and professional development in Higher Education, and Farm Animal Health are his main areas of interest. He is member of the board of U-CAT ( Utrecht Centre for Academic Teaching), member of the program committee of Utrecht University’s strategic research theme The Dynamics of Youth. He is diplomate at the ECBHM np (European college of Bovine Health Management). 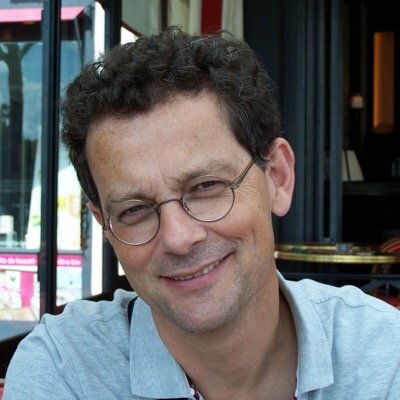 Cees van der Vleuten, PhD, has been at the University of Maastricht in The Netherlands since 1982. In 1996 he was appointed Professor of Education and chair of the Department of Educational Development and Research in the Faculty of Health, Medicine and Life Sciences (until 2014). Since 2005 he has been the Scientific Director of the School of Health Professions Education. This graduate school offers master and PhD degrees in health sciences education to a wide variety of international students. He mentors many researchers in medical education and has supervised more than 70 doctoral graduate students. His primary expertise lies in evaluation and assessment. He has published widely in this domain, holds numerous academic awards, including several career awards. In 2005 he received John P. Hubbard Award for significant contribution to research and development of assessment of medical competence from the National Board of Medical Examiners in the US. In 2010 he received a Dutch royal decoration for the societal impact of his work and in 2012 the Karolinska Prize for Research in Medical Education. He serves frequently as a consultant internationally. He holds honorary academic appointments in the School of Medicine, Flinders University, Adelaide in Australia, Western Sydney University, Sydney in Australia, the University of the Witwatersrand, Johannesburg in South-Africa, and the Uniformed Services University of the Health Sciences, Bethesda, United States of America.